Brass rubbings with wax onto paper were historically made to reproduce commemorative plaques in churches. 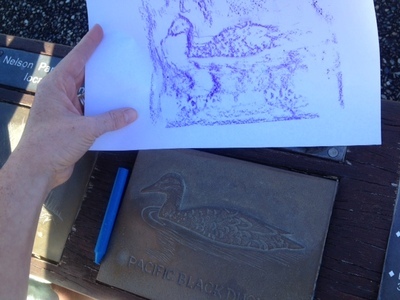 Have fun creating your own brass rubbing using a piece of paper and a wax crayon. 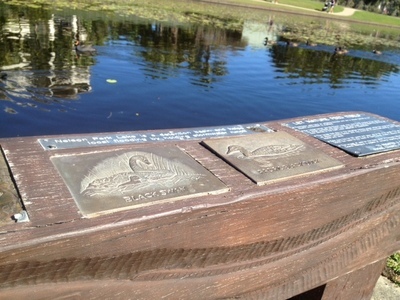 Find an interesting brass plaque with raised pictures or lettering. 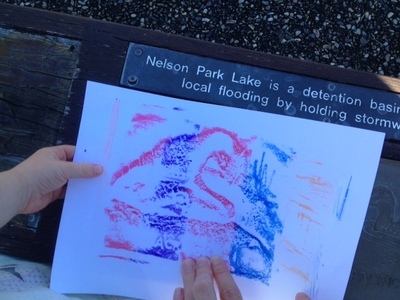 Hold a piece of paper firmly against the plaque. 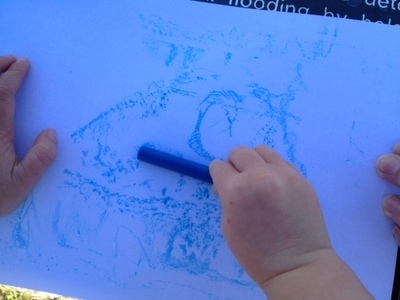 Young children may need help to hold the paper to make sure that it doesn't move whilst making the rubbing. Hold a wax crayon on it's side against the paper. Rub the side of the crayon back and forwards along the paper. A wax image of the plaque picture will appear on the paper. Try making a rubbing of coins. Secure the coins to a tray or table with blu-tac or sticky tape first. Place the paper over the coins and tape down the edge of the piece of paper with sticky tape to make sure it doesn't move around.